1,000 beads = hours of fun! 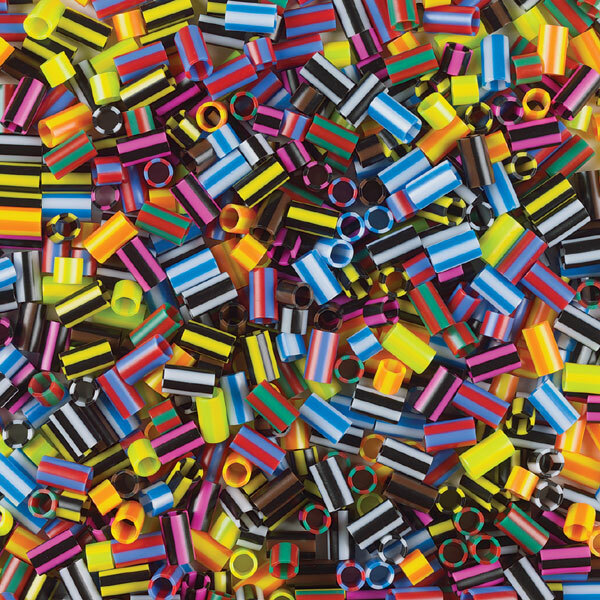 These injection-molded plastic tubes come in your choice of bright solids or striped colors. The large holes make them easy to string for small or challenged hands.